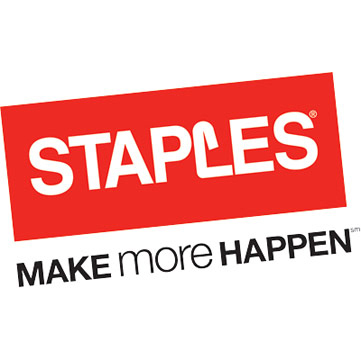 "I applaud Staples for earning EPA’s highest ENERGY STAR award, the 2015 Partner of the Year – Sustained Excellence Award, demonstrating a strong commitment to energy efficiency and to preserving a healthy planet for future generations." 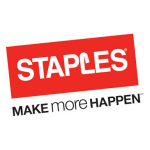 FRAMINGHAM, Mass.--(BUSINESS WIRE)--The U.S. Environmental Protection Agency (EPA) has recognized Staples, Inc. (NASDAQ: SPLS) with a 2015 ENERGY STAR Partner of the Year – Sustained Excellence Award for their continued leadership in protecting our environment through superior energy efficiency achievements. Staples’s accomplishments will be recognized in Washington, D.C. on April 20, 2015. 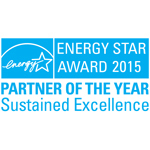 Staples, an ENERGY STAR partner since 2001, will be honored for its long-term commitment to energy efficiency. This is the fifth consecutive year Staples has been honored with Energy Star Partner of the Year Award. Staples achieved the certification of 625 buildings, and recertified 225 buildings in 2014. Staples was a strong competitor in the EPA Better Buildings Challenge committing to reduce energy intensity 25% by 2020 and to reduce its carbon footprint 50% by 2025. Overall, Staples achieved an 11.3% portfolio-wide reduction in energy intensity over the past years with its energy efficiency program including green power investments providing 18 million kWh of clean energy from solar. 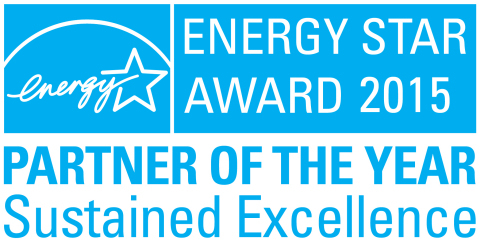 For a complete list of 2015 winners and information, and more information about ENERGY STAR’s awards program, visit www.energystar.gov/awardwinners. ENERGY STAR® is the simple choice for energy efficiency achievements. For more than 20 years, people across America have looked to EPA’s ENERGY STAR program for guidance on how to save energy, save money, and protect the environment. Behind each blue label is a product, building, or home that is independently certified to use less energy and cause fewer of the emissions that contribute to climate change. Today, ENERGY STAR is the most widely recognized symbol for energy efficiency in the world, helping families and businesses save $300 billion on utility bills, while reducing greenhouse gas emissions by two billion metric tons since 1992. Join the millions who are already making a difference at energystar.gov.